production numbers and sold in only a few European countries. That all changed in late 1963 when a small group from Liverpool became the biggest act since Elvis. 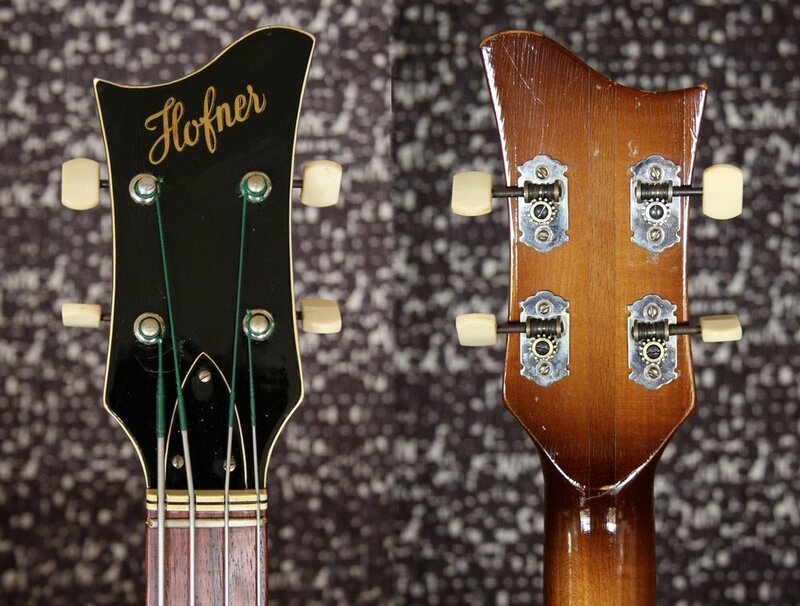 1961 500/1 basses are regarded by most as the rarest and best sounding violin bass of all. A rare all original bass from late 1961 in perfect condition with a stunningly figured back. Exact same sound as Paul McCartney's 1961 bass which can be heard on The Beatles' first two albums. Comes with a reissue Winter case and leather strap.